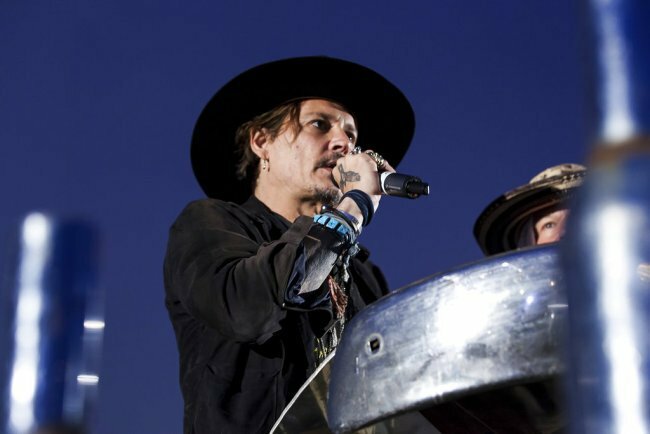 Johnny Depp's rhetorical question about the last time a president was assassinated by an actor must make every legitimate opponent of Donald Trump's policies, actions, and words cringe. Depp doesn't help the cause of those who want to disagree with Trump through political dialog and action. And it's just plain wrong to fantasize--however facetiously--about doing violence to other human beings. It's not the right thing for Ted Nugent to do; it's not the right thing for Johnny Depp to do. "Take the day's measure of good, and be thankful, and who knows but more may be added?" from The Confession of Brother Haluin by Ellis Peters. 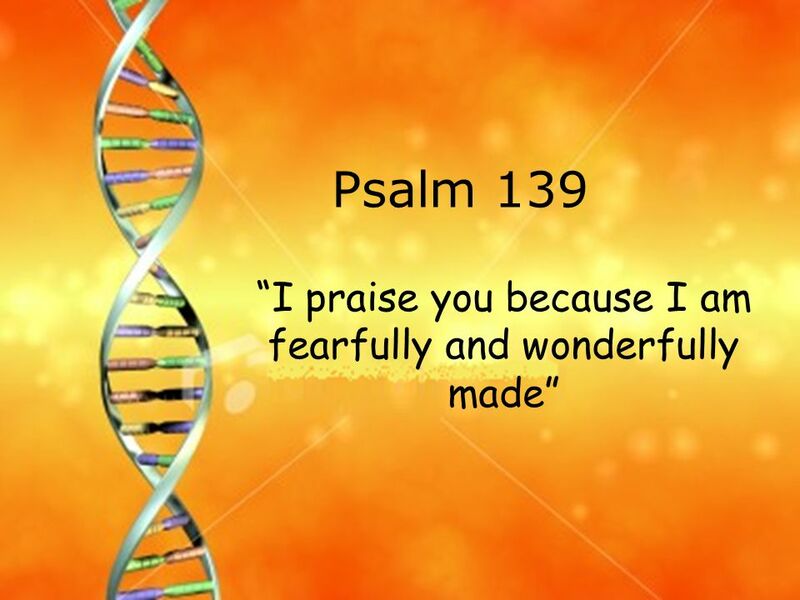 As I say, you never can tell what God may have up His sleeve. The New York Post has the story of a seemingly attractive woman who feels the need to look like someone else, in this case like Melania Trump. This is not much different--only be degree--from the person who feels the need to derive their sense of identity and worth from having someone else's name on their clothing, be it jerseys, sneakers, dress shoes, t-shirts, ties, suits, or other articles of clothing. If you don't know by faith in God that, through Christ, you are acceptable in the eyes of the only One Whose opinion matters, you become subject to the temptation of subordinating your own unique personhood to other people or things, all so that you can feel powerful or worthy. But God has already shown you your infinite value by sending His Son Jesus to die on the cross for you, where he bore the punishment for sin that we all deserve. Then He rose from the dead to open up the perfection of eternal life spent in God's presence to all who trust Christ for forgiveness, life, and the certainty of their worthiness. Trust in Jesus, not face lifts, hair coloring, sneakers, a career, a house, a car. None of those things can deliver what only Jesus can and does give to those who repent and believe in Him: a certainty of their worth, the presence of God and the support of His Church today, and the promise of life with God beyond death. Is this a bid for the Nobel Peace Prize? For about two years now, Chris Riccobono, who owns Untuckit, has been telling the story of how he was inspired to become a shirt salesman. (He also clearly wants to be a model.) Finding a shirt that looked good untucked became his passion. His passion? Really? Riccobono makes it sound as though his shirts are the answer to some pressing world need, akin to a cure for cancer or Middle East peace. Every time I see this commercial, I want to scream. Two things stand out here: (1) My reconciliation with God and my freedom from sin and its consequence, death, have been accomplished. I’m not waiting for salvation to happen to me. In Christ and through my faith in Christ, it has happened to me and is happening to me. I’m reminded of Jesus’ words to the woman at the well: “...a time is coming and has now come when the true worshipers will worship the Father in the Spirit and in truth…” (John 4:23) The kingdom is coming in its fullness, but it has already come fully to all who believe in Jesus. “Today salvation has come to this house…,” Jesus said of the unlikely candidate for salvation, the extortionist Zacchaeus (Luke 19:9). As I trust in Jesus, I am in the kingdom even now and know that nothing can separate me from the love of God given in Christ (Romans 8:31-39). Listen: “Daily repentance and renewal” must be more than a Lutheran motto, but my way of life. The daily renewal of my faith relationship with the God I know in Jesus is how my faith is maintained against the corrosive influences of my own sin, the sin of the world, and the never-ceasing temptations presented by Satan. As I live in intimacy with Christ, He takes hold of my life more deeply. He enters into my life more fully (Revelation 3:20). I experience His kingdom and the confidence, peace, and hope of it more completely. 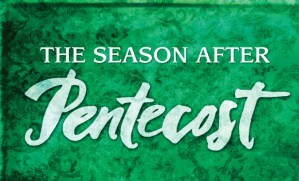 Today is the second Sunday after Pentecost. It begins the longest season of the Church Year. To the outside observer, the Sundays after Pentecost don't constitute the most exciting or compelling part of the church calendar. There’s no Christmas, Easter, or Pentecost to enliven it. Our Roman Catholic sisters and brothers and other fellow Christians don’t speak of the season as “the Sundays after Pentecost,” but lump it in with what they call “Ordinary Time.” That’s how most people will see this season of the Church Year, just ordinary. It is in some ways. I think of it as the Season of Getting Down to Brass Tacks. The question that our Bible lessons throughout this season ask and help us answer is a simple one: After God has entered our world in Jesus, died on the cross for our sins, risen from death to open life with God to all who repent and believe in Him, filled us with the Holy Spirit to empower us to believe and share the Gospel news of new life through faith in Jesus, what now? While we await our personal encounters with Jesus, either at our deaths or when He returns to this world, how do we live? What now? That question takes center stage in our gospel lesson for this morning. It comes at a transitional spot in Matthew’s narrative of Jesus’ life, death, and resurrection. Our lesson finds Jesus at what we might call a hinge of His earthly ministry, one on which a door is closed on one phase and is opened to a brand new one. Here’s what I mean: Up to this point, Jesus has been the One doing all the ministering. Jesus has been the Actor, His disciples the audience. But in our lesson, things change. Here, Jesus calls and empowers His followers to enter into the same ministry with the same power--the same authority--He possesses as God the Son. There will be another hinge in Jesus’ ministry, coming after He dies, rises, and ascends into heaven, when all who follow Him will be unleashed not just onto the small land of Judea to share Him with others, but when all of His disciples--everyone who bears the name of Jesus--will be sent into the whole world to share and live out the Gospel so that their neighbors of all colors, races, ethnicities, and backgrounds can come to know and follow Jesus. We, in the Church, live on the other side of that doorway. But today, let’s take a look at what we can learn about living in this green season, this ordinary time, from what Jesus says and does in today’s gospel lesson. This was Jesus’ ministry before His death, resurrection, and ascension summarized: He taught, he shared the Gospel of new life with God for all who repented and believed in Him, He brought God’s healing to people’s lives. But that ministry was about to expand beyond Jesus, motivated by the loving compassion of God for all people. Don’t miss out on the importance of that last sentence. These sheep--lost in sin, lost to death, losing out on purpose for their lives--are troubled. They’re the world’s throw-aways. But, unlike the world, Jesus has compassion on them all...on all of us. They, like us, need a shepherd, someone to lead them to life and peace with God. Jesus was, while on earth, a shepherd to many people. But, for the sake of being the perfect human sacrifice for all of our sins, Jesus had voluntarily accepted the limitation of living one human life while on earth, able to reach, touch, and speak to only so many people. It’s possible that He could have talked to all the residents on Planet Earth at a single time (and Scripture says He will do just that when He returns one day), but it is in the nature of our loving God to want to meet us and offer us new life intimately, one to one. Jesus was God with skin on Him. But it’s Jesus’ intent that we should all meet God through people with skin on them, through people who believe in Jesus Christ and whose lives have been changed for all eternity by Him. It's people who know, follow, and love Jesus who can bring the God we know in Jesus close to others. So, switching metaphors from sheep to crops ready for harvest, ready for eternity-changing good news, ready to be brought into the shelter of God’s kingdom, Jesus commands His disciples, including you and me, to pray for workers to move into that harvest. I can think of no other command we have received from Jesus that is more ignored by His Church. We're even more obedient to Jesus' great commission command to make disciples, to evangelize, than we are to this one. We Christians often lament the sorry state of the world. It bothers us to consider how many people go through their lives without ever knowing Jesus Christ, the only One Who can save them from sin, the only One Who can give them the life with God that they yearn for even of they don’t know it. But we fail to do what Jesus tells us to do in our gospel lesson this morning: To pray that God will send disciples with skin on them into the lives of all people in order, by the power of the Holy Spirit Who lives in every Christian, to duplicate the ministry of Jesus--the ministry of teaching, proclaiming the good news, being agents of God’s healing--to the harassed and helpless who need Jesus as much as you and I do! Praying that God will send workers into all of the harvests of the world should be something that we as Christians do every single day! We need to pray that God will send workers to bring in the harvest of the lost among the elderly, baby boomers, GenXers, and millennials, to bring in the harvest of those presently lost in Islam, Judaism, Buddhism, Hinduism, atheism, to bring in the harvest from all who do not yet know Jesus. But be careful what you pray for! When we pray in this way, we must also be prepared to be the workers that Jesus sends into these harvests. We may be the disciples with skin on them that Jesus sends out. Consider what happened to the Twelve that to whom Jesus first commanded this prayer. He called them to be workers in the harvest. He sent them out to do exactly what He was doing, at first only in Judea. Later, He would send His whole Church with the mission to go to the whole world to make disciples. That’s our call--yours and mine--today. It is a daunting mission. But it’s one we take seriously at Living Water. When we revised our congregation’s constitution a few years ago, we knew that we had to adopt a new mission statement. The old one was more of an observation than a statement of our mission. But we became convinced that we didn’t need to formulate some snappy new wording. We didn’t need months of input or study. That's because the risen Jesus gave His Church its mission just before He ascended to heaven to sit at the Father’s right hand: “...go and make disciples of all nations, baptizing them in the name of the Father and of the Son and of the Holy Spirit, and teaching them to obey everything I have commanded you” (Matthew 28:19-20). We are saved by grace through faith in Jesus Christ, what now? We’re given the Holy Spirit at Baptism, what now? We are told to pray in Jesus’ name, what now? The answer: Do the mission Jesus has given to us; be and make disciples. We’re to keep being and making disciples until Jesus returns. As we do it, Jesus promises that He will be with us always, to the end of the age (Matthew 28:20). On Tuesday night, we’ll have an open house, allowing you to ask questions about our proposed three-phase building project. I must tell you that, as a pastor who has been through two previous building projects, I face this one with some apprehension. I’m not concerned about arguments over the bricks and mortar; the plan reflects the prayers for God’s will and the extensive input of our members. I’m not concerned about leadership or financing. The thing I pray about as your shepherd is that, in the excitement over putting up the first phase of this project, we forget about our mission of being and making disciples. Listen: If we see any building we erect as anything other than a tool for being and making disciples, we shouldn’t bother building at all. The first disciples of Jesus followed Jesus, taught others about Him, proclaimed the good news of new life through repentance and belief in Jesus, and brought Jesus’ healing to others without having sanctuaries, fellowship halls, offices, kitchens, or classrooms. And history shows that they did pretty well at the mission of being and making disciples Jesus gives to His Church. The first permanent church structure wasn't even built until the fourth century. I believe that the first phase the Vision Forward team and the Church Council is proposing can help us with the mission that Jesus has given to us. So, can the subsequent phases...but only if we refuse to see our buildings as ends in themselves. We must not see any building project as a destination, only a route by which we get to our destination. The destination, the constant journey of the Church, is to fulfill Christ’s great commission, to make disciples. And Jesus even tells us to cheat in pursuing it; we’re to pray the power of God’s Holy Spirit on all those disciples with skin on them who have been sent by Jesus Christ to turn the world upside down--one person at a time--with the life-altering good news of Jesus Christ. Whatever we do, we must always remember and pursue our one and only mission!